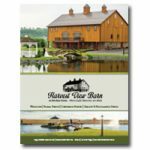 Harvest View Barn at Hershey Farms, in Lancaster County, Pennsylvania, offers the perfect blend of rustic elegance and convenience for your special occasion. Wedding ceremonies and receptions, corporate events, business meetings, large birthday parties and family celebrations – our beautifully renovated barn and manicured grounds set the tone for a truly unique event. We invite you to visit our property! "It was so nice meeting you and working with you at Matt and Jessica's wedding a few weeks back. You really have a lovely place, I'm happy I got to experience it!"